Client Object Module allows to interact following ways. 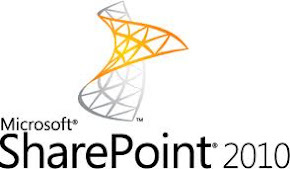 In this example you will see .NET Managed client by create WPF application, We will see how to retrieve list from SharePoint site, Create list in SharePoint site and Deleting the list from SharePoint site. 1. Open Visual Studio 2010 by going to the Start Menu | All Programs | Microsoft Visual Studio 2010 | Microsoft Visual Studio 2010. 2. From the menu, select File | New | Project. 3. In the New Project dialog window, choose Visual C# | Windows from the Installed Templates. 4. Select WPF Application from the Project Items. 5. In the solution explorer, right click on References and select Add Reference… and Switch to Browse tab. 8. In the Solution Explorer, double click on Window1.xaml to open the XAML view. 9. Insert the following XAML code inside the Grid element in the XAML view. 10. In the Solution Explorer, right click on Windows1.xaml and select View Code. 13. Press F5 to start debugging the application. 14. You will see the Application Window with Enter the site Name and Click Retrieve list button System will populate the available SharePoint lists. 15.Insert the following XAML code inside the Grid element in the XAML view. 18. Press F5 to start debugging the application. 19. You will see the Application Window with Enter the site Name, List Name, Description and Select List Template Type and Finally click Create list button System will create SharePoint list. 20. Go to http://demo2010a:1000/ SharePoint Site View all site content you can able to see the ClientOM Announcements list. 21.Insert the following XAML code inside the Grid element in the XAML view. 25. You will see the Application Window with Enter the site Name and click Retrieve list button, system will retrieve SharePoint lists and set value to Combo box. 26. Select Value from Combo box and Click Delete List system will delete selected list. Really useful post on client model!